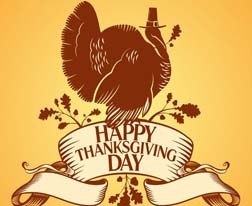 With Thanksgiving being upon us, I find myself thinking about everything I have to be thankful for. For instance, I’ve been a real estate agent for some time, which is a position that I enjoy and love. With Thanksgiving of 2013 here, this real estate agent invites you to think about what you have to be thankful for. Whether big or small, you’ll find yourself savoring all the good things in your life. Enjoy each moment as if it were your last, sipping from the cup of gratitude and appreciation; you may find that your heart is constantly filled with happiness. 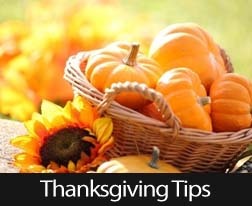 I invite you to make every day Thanksgiving Day. The minutes of the Federal Reserve’s Federal Open Market Committee meeting held October 29 and 30 were released Wednesday. The meeting began with a report from the Manager of the System Open Market Account and included updates on developments within domestic and foreign financial markets. According to the report, no intervention by the Federal Reserve was required on foreign currencies during the period between the last and current FOMC meetings. Labor: Private non-farm payrolls for September increased at a slower rate than for August and the unemployment rate remains high at 7.20 percent. The FOMC has set a target unemployment rate of 6.50 percent as a benchmark for considering changes to the Fed’s quantitative easing program, which supports lower long-term interest rates and mortgage rates. A high rate of part-time employment and a slight drop in full-time employment may indicate why would-be home buyers remain on the sidelines. FOMC members noted that while weekly unemployment claims rose during some weeks in October, this was likely fall-out related to the government shutdown. Manufacturing: Production rose slightly, but was flat other than for motor vehicles. The committee expected to see gains in production in the near term. Personal Consumption Expenditures: This sector rose in August and retail sales excluding autos were significantly higher in September. Factors impacting consumer spending were mixed. Homeowners enjoyed increasing home prices and home equity, but overall consumer sentiment declined even as disposable income increased in August. Housing: The committee said that little current data was available for the housing sector due to the shutdown. Building permits and housing starts for single family homes rose in August. After a significant drop in July, sales of new homes rose in August while sales of existing homes fell. Pending home sales also fell during August and September. Quantitative Easing: FOMC members decided not to alter its current QE program during its September meeting; this caused investors and analysts to revise their expectations for the Fed taking action to reduce its current pace of $85 billion in monthly bond purchases. Expectations for the total amount of asset purchases under QE were revised upwardly, which suggested that no major changes in current Fed monetary policy is anticipated. Overall, the minutes of October’s FOMC meeting echoed the committee’s recent perception of moderate economic growth as expressed during its 2013 meetings, and its intention to maintain asset purchases and the target federal funds rate at current levels in the coming months. In order to save up a huge amount of cash for the down payment on your first mortgage, you need a solid savings plan! When you take out a mortgage on your new home as a first time homebuyer, the more you can pay as a down payment the better. The down payment on a mortgage reduces the principle of the loan and means that you will be paying tens of thousands less in interest payments over the life of the loan. 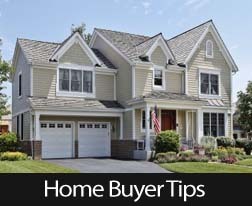 Most financial experts recommend that you should save up at least 20% of the value of the home as a down payment. 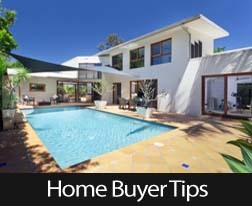 Depending on the value of the home that you want to buy, this can be a serious chunk of money. The conventional saving tricks of skipping your morning latte and eating dinner at home just aren’t going to cut it when saving up this much money! You will need some strategies for saving big. No matter how much you have already saved for your down payment, create a new savings account to put the money in. When the money is in your personal account it is so much more tempting to spend it on day to day expenses. Also, a savings account will give you a better rate of interest so that you can help you money grow. If you have credit card debt, you will be paying interest charges to the credit card company every month. These charges can really add up, especially if you are only paying the minimum on your loans. If you can pay down this debt you will have extra money every month to put into your savings instead. If you want to accelerate yourself towards having your down payment saved up, you could consider taking on a part-time job in addition to your full-time job on a few evenings and weekends. It doesn’t have to be something that you do forever, but even sticking with it for six months to a year will give you thousands in extra income that you can put straight towards your down payment. Do you find that after you have paid all of your bills and your living expenses, there is nothing left over to save? Rather than calculating all of the money that you use on your monthly expenses and then saving whatever is left afterwards, why not make your budget the other way around? Start off with how much you want to be able to save per month then subtract that amount from your net income. The number you have left is what you have to live off. You will find that you naturally change your habits to make this amount of money work for you and if it if not enough you can increase your income by getting a side gig. These are just a few ways that you can save up for a down payment on your first home in order to save money over the years on your mortgage. The National Association of Home Builders released its Housing Market Index for November on Monday. This month’s HMI reading was 54 against expectations of a reading of 55. October’s reading was also 54 after being downwardly revised. 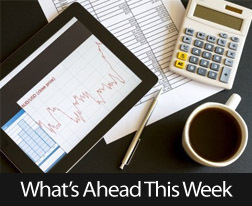 The Veterans Day holiday on Monday contributed to a quiet week for economic news. On Wednesday the reading for the federal budget deficit for October fell from September’s reading of -$120 billion to -$92 billion. The average mortgage rates increased across the board, but remain below historical levels. The rate for a 30-year fixed rate mortgage rose by 9 basis points from 4.16 percent to 4.35 percent with discount points decreasing from 0.80 percent to 0.70 percent. The average 15-year mortgage rate rose from 3.27 percent to 3.35 percent with discount points the same at 0.70 percent. The rate for a 5/1 adjustable rate mortgage increased from 2.96 percent to 3.01 percent with discount points moving from 0.50 percent to 0.40 percent. Weekly Jobless Claims were released Thursday and were reported at 339,000 new claims. This was higher than the expected number of 335,000 new claims, but lower than the prior week’s reading of 341,000 new claims. In other news, Janet Yellen, the President’s choice for chairing the Federal Reserve, defended the Fed’s quantitative easing policy during her first confirmation hearing before the Senate Banking Committee. QE, which involves Fed purchases of $85 billion monthly in Treasury and mortgage backed securities, was designed to keep long-term interest rates and mortgage rates low. TransUnion, one of three major credit reporting agencies in the U.S., reported that mortgage defaults fell to a five-year low to a reading of 4.09 percent for the third quarter of 2013. This reading is lower year-over-year than the revised reading of 5.33 percent for the third quarter of 2012. The reading for third quarter 2013 mortgage defaults is also lower than the reading of 4.32 percent for the second quarter of 2013. A mortgage default is defined as a home loan that is at least two months past due on payments. Analysts cite moderate but stable job gains, comparatively low mortgage rates and a short supply of available homes as factors contributing to improvements in the housing sector. Analysts noted that mortgage defaults have declined during the past five quarters. As defaulted mortgage loans made before the economy crashed are foreclosed, mortgage defaults were expected to continue falling. 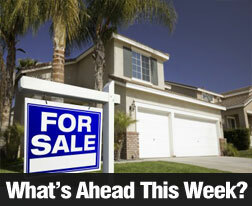 TransUnion reported that it expects mortgage defaults to fall below 4.00 percent by year-end. 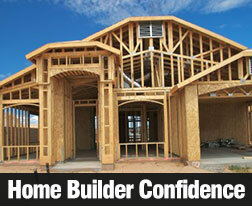 This week, the National Association of Home Builders is scheduled to release its Home Builder Confidence Index for November. 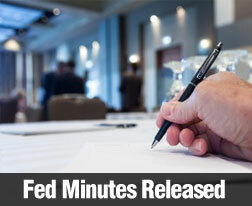 Along with the weekly releases of Jobless Claims and Freddie Mac’s PMMS report on mortgage rates, the FOMC is expected to release the minutes of its last meeting. Existing Home Sales for October are also set for release. Surface Scum – Keep food preparation surfaces clean and disinfected. Beware of hidden germs on sponges and other porous surfaces. Disinfect sponges on a regular basis by running them through the dishwasher. Toxic Mold – Check for signs of moisture and mold growth in bathrooms, on basement walls, and around windows and doors. Unstable Furniture – Ensure all top-heavy furniture pieces and appliances are securely fastened using anchors or brackets, asthese items can easily tip over. Pest Problems – Watch for evidence of disease-carrying pests, like rats or mice, who may have ventured inside looking for food or a cozy place to sleep. Prevent them from coming inside whenever possible. Mirrors and Pictures – Avoid hanging mirrors and heavy pictures over couches, exits and beds. Electrical Hazards – Check for faulty wiring or overloaded circuits. Never place extension cords or wires under rugs, behind soft furnishings or within reach of children or pets. Funky Foods – Practice safe food handling techniques to avoid becoming sick from a food-borne illness. Potential Poisons – Keep prescription drugs, over-the-counter medications and natural remedies (even vitamins) out of the reach of children. Flammable Furnishings – Never store rags near electrical equipment or flammable liquids, and keep portable heaters well away from furniture and drapery. Tripping Trouble – Watch out for potential tripping hazards inside and outside the home. Recalled Products – Review consumer product recall lists on a regular basis, especially if you have young children. Gas Appliances – Always secure gas appliances and use flexible connectors to ensure toppling or shifting doesn’t lead to a dangerous gas leak. An open house gives you a great opportunity to look more closely at real estate you might be interested in buying. It also affords you the chance to chat with the owner or real estate agent so you can bring up any issues or hesitations you have with the home. Knowing what to ask can be difficult, so below are examples of questions to ask at the next open house you attend. Why Has The Seller Decided To Sell Now? If you ask why the seller is moving, you could learn valuable information to help determine your offer or possibly whether or not you want to buy the home. Knowing whether the owners are about to go into foreclosure, have experienced trouble in the neighborhood, or if they’ve retired and completely paid off the home can help you understand how urgently they need to sell their property. Has The Seller Had Any Other Offers? Don’t forget that you are not only negotiating with the seller for a price, you are also competing with other potential buyers. It really helps to know what you are up against. It is important to understand that you might not get a 100% straight answer to this question as most sellers know that competition or perceived competition can cause a potential buyer to move forward more quickly and at a higher price. If you’re comfortable in this discussion, you might want to try and see if you can find out the details of any other offers. Does The Property Have Special Ownership Costs? Ask the agent or owner about the other costs associated with owning the property, such as Home Owners Association fees within a condo complex or a gated community. It’s important to know about these extra expenses in advance so you can make an informed offer. You may also want to ask about any pending litigation concerning the property. Litigation is not always a deal killer, but it’s better to know the details before you sign closing documents. What Furniture And Appliances Are Being Sold With The House? Most of the time, a seller will include their major appliances such as the refrigerator, stove and dishwasher with the home, but this isn’t always the case. If you don’t already have these items, it’s important to know whether they are included in the purchase price. Is There Anything Else The Seller Might Want To Leave With The Home? This is an important question to ask. 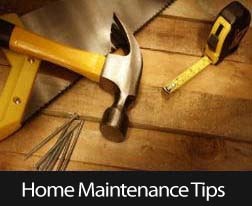 Especially if there are specific things in the home that you have a strong interest in. Perhaps there is custom art work or a pool table that fits perfectly in the game room. The seller may be eager to part with those items and include them in the sale of the home or sell them at a large discount. The open house is a great opportunity to learn more about a home before making the decision to buy it, so be sure you ask the right questions. One last thing about going to open houses. If you have been working with an agent, whom you have developed a level of mutual trust with, and that agent has been working diligently for YOU – showing you other houses, on multiple occasions, plus continually sending you new listing emails, to keep you informed of opportunities, etc – then you should let the agent at the open house know that you are already working with an agent. The open house agent SHOULD respect that admission on your part, and not try to convert you into being their client. Not all agents, though, are that honorable. If they inquire who you’re working with, you have no obligation to inform them. If you’re NOT already working with another agent, then, of course, open houses are a good way to “interview” potential candidates for the job of being your agent, and helping you in your quest for your next home. In case you ARE “interviewing” agents, I would be honored if you would consider ME for any job, which involves buying, selling, or leasing real estate in South Orange County, California. Thanks for reading.